Sfoglia alla Pancetta is a very delicious, yet very easy to create antipasti. This simple puff pastry with pancetta and rosemary will wow your friends at any Christmas dinner party or cocktail party! Roll out the dough, evenly sprinkle with the rosemary and sea salt. 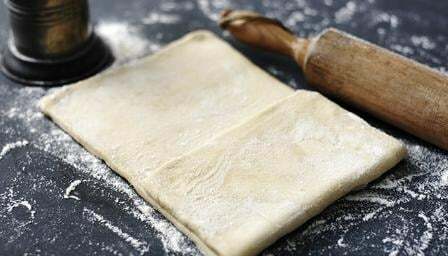 Lay out the slices of pancetta over the dough, cut into bite size slices and bake in a hot oven (180°C) until golden and crispy.